Welcome October! This is one of my favorite months. The change of season is so visible and vivid during the month of October, with cooler weather and colorful leaves. There is a rhythm in nature's seasons that is predictable and constant year after year. Seasons in our lives are not always as visible or predictable as the seasons in nature are. But we do experience seasons in life. My daughter recently mentioned that this year is her 20th high school reunion. That took my breath away! I remember the season I was in when she graduated. I was so surprised at how hard it hit me. Her four years of high school had gone by so fast, and then it was done. My little girl had become a strong, independent young woman and all of a sudden my role in life changed. I struggled with that for quite a while, even with little things like not following the school year calendar after 12 years of living by it. Gradually I adjusted, but it was a season of change. What do people really get for all their hard work? I have seen the burden God has placed on us all. Yet God has made everything beautiful for its own time. He has planted eternity in the human heart, but even so, people cannot see the whole scope of God’s work from beginning to end." In this passage in the book of Ecclesiastes we are reminded that all seasons - those in nature and those in life -are determined by God. Seasons in our life are not without purpose, for it is often through the change of seasons in our life that growth and maturity and transformation take place. 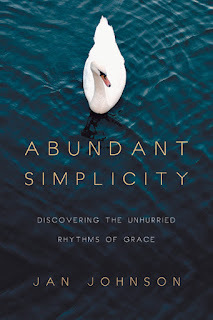 I am currently reading a book by Jan Johnson called Abundant Simplicity. A book about being intentional in ordering our life in order to live in a deeper, more abundant relationship with God. 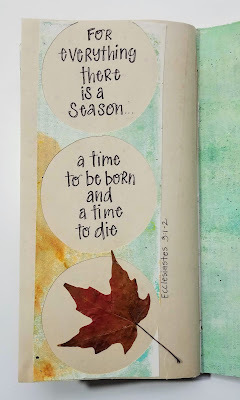 As we think about transformation and how the seasons of our life can shape us for growth let me share a few quotes from the book that may help us in our perspective about seasons and change. "Transformative growth works in a spiral...As we're ready, God allows basic issues to resurface, but each time he lets us see ourselves more clearly so that better and deeper pruning work can be done. If we're wise, we'll take notes about what we're learning so we can look back and remember what we've learned when we work through it with God the next time." ~ Jan Johnson, Abundant Simplicity, p32-33. Thinking of transformation in a linear manner often leaves me somewhat discouraged when I face an issue that I thought I had dealt with in the past. So I find encouragement in Jan's view that transformation and spiritual growth is more of a spiral, that when these issues arise again, It is not failure, it is simply time to work on them at a deeper level. I also find great comfort in this. We serve a God who cares deeply for us, so deeply as to not allow us to be too overwhelmed in the trials and life experiences we face, until He sees in us growth that enables us to handle more. God's loving pruning enables us to grow and mature in Christ's likeness. Our trust in His faithfulness and love enable us to endure, knowing that He loves us and has our best interests at heart. This month in our faithart group, Everyday Journals, we are taking a look at the season of life we are in - A SEASON FOR _________. For the month of October I have decided to use the contrasts found in Ecclesiastes 3:2-8 metaphorically, as self-examination questions, a way of contemplation and opening myself to God for His loving examination. Join me if you like! 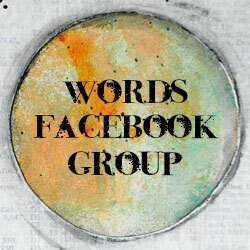 There will be information at the end of this post on how to join our group. My first fall leaf for this season. The first contrast is seen in verse 2: "A time to be born and a time to die". What does God want to birth in me? What needs to be renewed? To be born again or afresh? What in my life, my heart, my mind needs renewal? What must I die to for this change to occur? A habit or practice or attitude to give up, eliminate, or change. What needs to be removed to make room for it? What practices (spiritual or otherwise) might I engage in or abstain from that may help me connect deeper with God's call to be renewed?